When we got a deep freezer a while ago and I have no idea how we lived without one for so long. When I find meat on sale at the grocery store, I try to stock up on them. Much easier to do when I have a deep freeze. 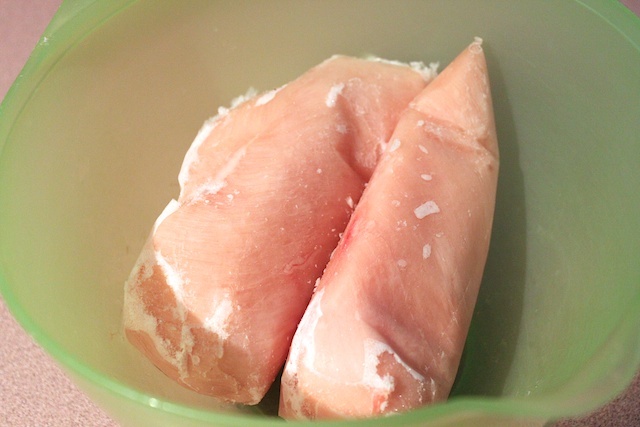 I was able to purchase large boneless, skinless chicken breasts for $1.67 per pound. 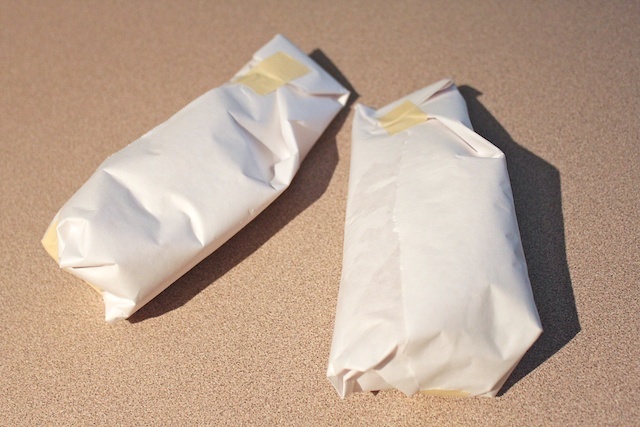 The best way I have found to freeze meat is using freezer paper. I have done this with chicken as well as beef/steak. Freezer paper works well because it is plastic on one side and paper on the other. Wrap your meat touching the plastic side. Then use freezer tape or in my case, I just used regular masking tape to close up any open ends. I also purchased 2-gallon size ziplock bags so I can put a ton of meat in one bag. Label the bag with content and date. Finally, I place them in the freezer. On the box of the freezer paper, it said it will keep frozen chicken for at least 3 months without freezer burn. And since the plastic side of the paper is touching the meat, you can peel the paper off the frozen meat without leaving any paper stuck to it. » Tell me… Do you have a deep freeze or a second refrigerator? Do you stock up on meat or do you only do fresh meat? I come from a large family and my mother always bought meat on sale and froze it, I thought everyone did. So of course I followed in her footsteps. I think it not only saves money, but time as well. I do a lot of shopping at Sam’s Club and will buy a lot of frozen items as well as meat. I live in Florida and it gets quite humid so I also bag up sugars, and flour and store them in freezer. I dont do much canning but I buy fruits during season, sometimes we even go pick them, then clean, bag and freeze them for future use. I think I use my freezers more than any other appliance, dont know what I would do without it.